Make it a sweeter situation. Suitable for vegetarians and vegans. 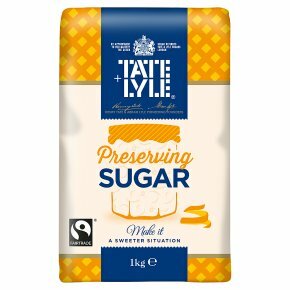 Kosher - KLBD - P.Whether it's marmalades or jellies, preserving is a pleasure with Tate & Lyle Preserving Sugar. Its larger crystals dissolve more slowly, which reduces the risk of burning and means less front and stirring.